Every now and then a company hits a milestone that is a historic first. STIHL, already recognized as the number one selling brand of chain saws and cut-off machines worldwide, has reached another such milestone. We at STIHL Inc. are pleased to announce that syndicated commercial and independent consumer research of 2009 U.S. sales and market share data shows that STIHL is the number one selling brand of gasoline-powered handheld outdoor power equipment in America. Becoming the number one selling brand is significant given that almost every one of STIHL’s competitors in the consumer and professional handheld outdoor power equipment market utilize mass merchants to sell their product. STIHL’s distribution network in the U.S. includes 12 distributors and more than 8,000 independent servicing dealers and its decision to forgo the mass merchant retail channels and distribute product only through servicing dealers was featured in the recently released book “The Distribution Trap: Keeping Your Innovations from Becoming Commodities” by Dr. Andrew Thomas and Dr. Timothy Wilkinson. STIHL Inc., founded by ANDREAS STIHL AG & Co. KG in 1974, is based in Virginia Beach Va., and manufactures over 180 different model variations of gasoline-powered handheld outdoor power equipment products for sale in the U.S. and around the world. 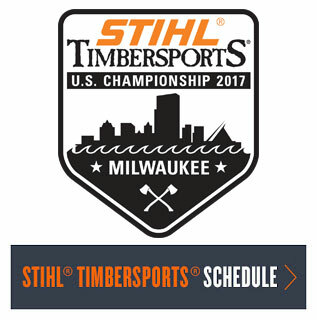 For more information, please visit www.stihlusa.com/one. "Number one selling brand" is based on syndicated Irwin Broh Research (commercial landscapers) as well as independent consumer research of 2009 U.S. sales and market share data for the gasoline-powered handheld outdoor power equipment category combined sales to consumers and commercial landscapers.